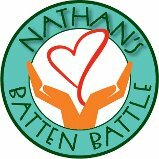 I realized that I have not given an update regarding Nathan since we have been home from the Hospital. I apologize for my delay, but he is keeping us on our toes. When we were discharged, it was with instructions to follow up with the Nutrition clinic to talk about our options. Since he lost so much weight they put him on a high calorie intake count each day to try and gain some weight back. This has become almost a full time job tracking every single thing he eats to ensure that he meets that goal. for food, he does not say he is hungry, so we have to proactively push food often. Many nights I go to bed worrying that he did not get enough food for the day. time. All I ask is prayers for discernment, that we make the right decision for Nathan-always. Since returning home, Nathan had a second seizure. This was somewhat to be expected. We opted not to put him on a seizure medication leaving the hospital as we were trying really hard to get him back to baseline. But once the seizure happened, we knew it was time to add another medication. So far we have not seen any reactions to it, thank God! Unfortunately, he has still not returned to his normal self. I am not sure that he will to be honest. He is withdrawn, does not engage much and just sort of stays to himself. This has been very difficult to watch as it seems to have happened overnight and is just not the Nathan we know. back to sleep. Lack of sleep, coupled with poor nutrition is making this Mama very nervous. We are not sure what is going on, but again it is like he just changed overnight. We are traveling to Nashville this month to attend the annual BDSRA conference and cannot wait to see all our friends. This is the one trip a year that I truly look forward to. It is a time to reconnect with our friends, see all the other kiddos that we have grown to love and meet new families who are walking this journey as well. Please pray for safe travels as it can always be challenging. So many thoughts and prayers for all of you! Hope things are turning around for him and he’s more himself since your last update. Thinking of your family. Thanks Kat, I think of you and your family often too! Thanks for your update. High school…big milestone..congratulations for all you’ve accomplished! Prayers for all in the coming months.